I attended a fantastic platinum printing workshop at the Center For Alternative Photography in NYC taught by Carl Weese. There were SO many wonderful things about this workshop. This was my first introduction to the Center for Alternative Photography and lets just say I will be going back as soon as I can! 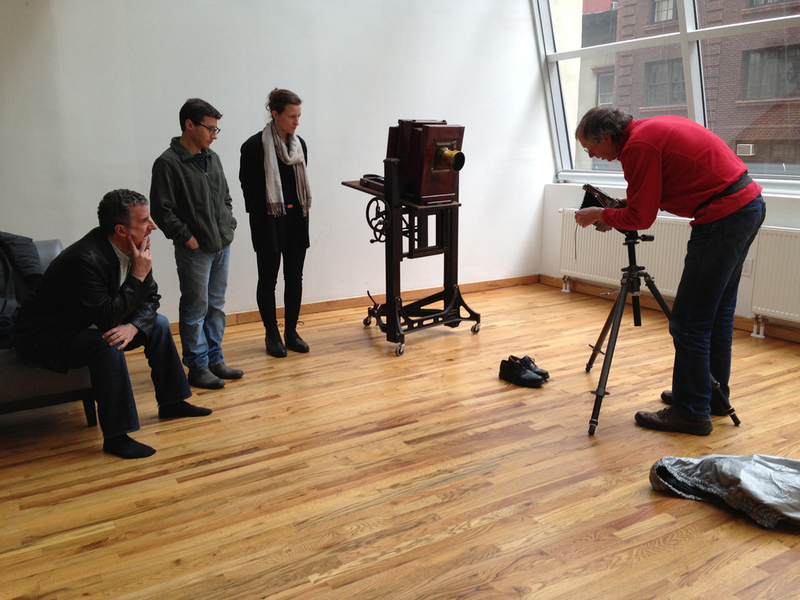 The people that I met from the organization were terrific and true photo and large format enthusiasts. I was able to geek out over alternative photography for the whole weekend and be around people who understood my excitement. The studios were breathtaking - beautiful skylights and darkrooms. Carl was a great instructor! His printing is phenomenal and he was able to make the weekend fun, engaging, and educational. While I was at CAP I was able to take a peak at the Tintype Portrait Studio. It is GORGEOUS! You can make an appointment to have your portrait taking as a tintype in varying sizes. I highly recommend checking it out. I can not wait to get back there to get my own tintype! Thank you to Carl and everyone at CAP for a fun and educational weekend!